When a relative dies, grief can make clear thinking difficult. If you wait until then to plan the funeral, you may not get the funeral you would have wanted – a funeral that would have truly reflected and celebrated your life. You may pay far more than you would like to or leave difficult decision making financially and personally for your family to deal with. That’s why we encourage you to plan now, before you have to, so it is less stressful for all concerned. We hope this prompts you to do some thinking about funerals now, whilst you have the time! Being prepared and recording your own choices is very astute, and something we encourage, if not for yourself, then to lift the decision making burden from those left behind. We’ve included a form here with the details required for formal registration of death, and a brief space to note down some specific personal requirements. It is always a sensible idea, if you are worried about costs to your family after you die, to open up a Funeral Prepaid fund with either an insurance company, bank or financial institution offering this service. We have such a fund with the BNZ called Client Funds, where your funds are invested on your behalf free of charge, with no hidden costs. This fund can only be accessed upon your death, but remember, tell a family member, lawyer or executor that you have a fund to avoid double payment of funeral expenses. Here is the form you will need to set-up a prepaid funeral. Please fill this out and then give us a call to make an appointment to come in and see us. 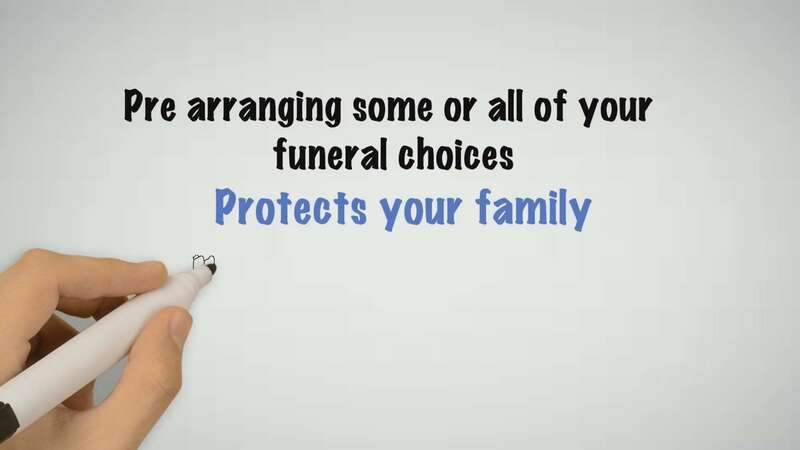 Our short video all about pre-arranging funerals.